Our longest drive at around 8+ hours. Our place for the night was on an industrial fishing pier. It was a long day. If it had to rain one day, this was the day. We had hours of driving ahead of us with no stops planned. 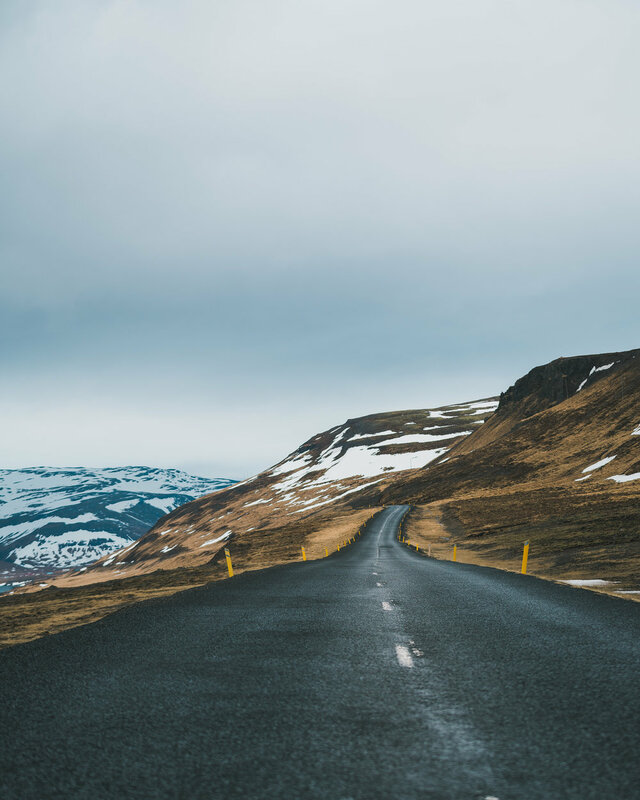 A heavy fog hung over the tops of the fjords as we drove one way, and then back the other way, tracing the long fingers of Iceland's western peninsula. We used the opportunity to take plenty of B-roll video and naps. The Westfjords are little traversed, one of the remotest parts of a remote island. There are no dramatic waterfalls, no black sand beaches, no snow capped mountains, no plane wrecks, no geysers, and as a result, very few tourists. 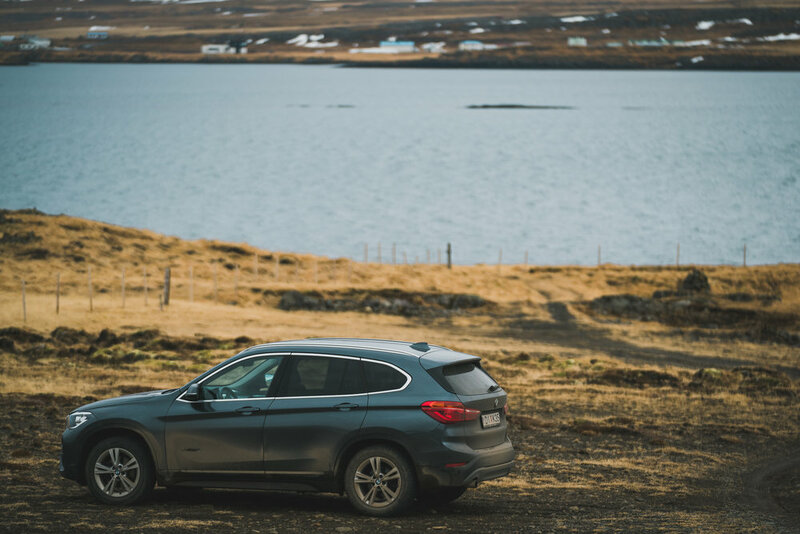 It's easy to drive through the Westfjords to get to somewhere else, and treat it as an in between. The challenge is to appreciate it in the moment like you will when you return home to your normal pace, to your own bed and to your desk at work. This is where thousands of puffins migrate to in summer. This is where you can spot whales in the bay. The fjords are devoid of almost any sign that it's 2018, and you can easily imagine a viking ship sailing along at the pace of your car. Iceland is as wide and wild as your imagination, and nowhere else captured my imagination like the Westfjords. Well into the evening, we rolled into the small fishing village of Ísafjörður, nestled at the base of a great fjord. Exhausted from driving, and hungry, we circled an industrial dock looking for our Airbnb. We were directed to what is best described as a warehouse. Covered in dilapidated scaffolding, with broken windows, exposed wiring, bedding shoved into the closet and nothing around us but large rusted ships out of water, we abandoned plan A for plan B, the basement apartment of a family's home in the residential part of town. It was lovely (it even had heated bathroom tiles) and exactly what we needed for the night. We are planners. We spent months researching and reading reviews. We created itineraries of what we absolutely wanted to see, and back up itineraries of what we could see if we had time. We considered prices, the season, the type of car we'd have, how much daylight there'd be, and Iceland still threw us curve balls. Ísafjörður was one of them, but for every hard lesson learned there were great surprises, like how good Icelandic gas station food can be. Taking it in stride and figuring challenges out is the part of travel that makes you grow, and growth is what travel is all about. - If you only have a few days in Iceland, the Westfjords are not the best use of your time. 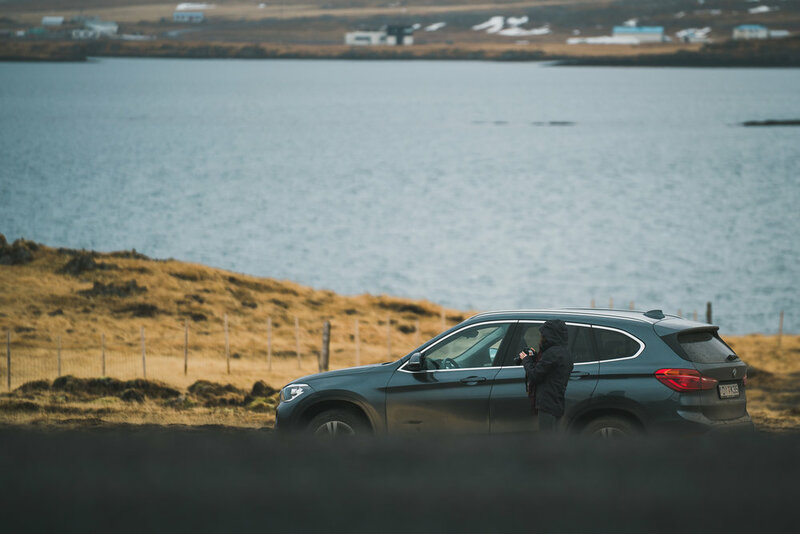 - Airbnb was excellent in Iceland, but in a more remote town like Ísafjörður, spending a little extra for the hotel or guesthouse is worth it. - Take pictures of your Airbnb if it's not up to snuff! It'll strengthen your case if you ask for a refund.